Jeff Zias and I are writing the book Grassroots Innovation in the Enterprise to be published this fall. 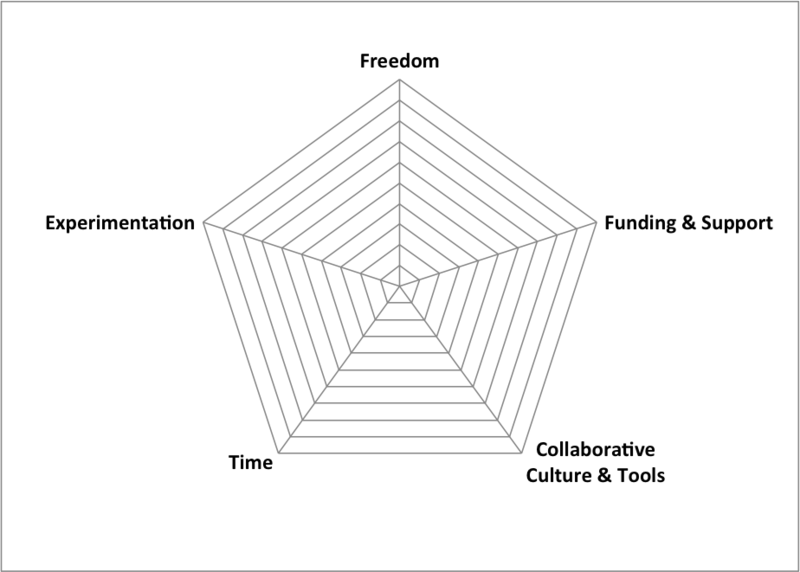 In March, we published a blog post where we introduced a draft of a model to help assess innovation programs in the enterprise. 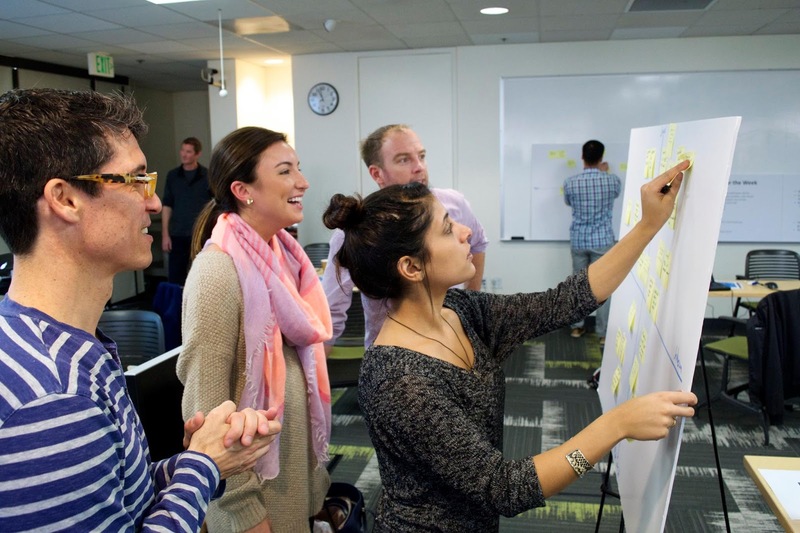 Freedom – Employees are given autonomy to explore ideas they are passionate about. Time – Employees are given self-directed time, carved out from their day jobs, to work on their own projects. Collaborative Culture and Tools – Employees can easily find out what other employees are working on in their self-directed projects, provide feedback, and form teams across organizational and geographic boundaries. Funding and Support – Employees are given resources, tools, training, and senior leadership mentoring to develop their self-directed projects. A formal process is in place allowing projects to “graduate” to officially funded initiatives. We published a Grassroots Innovation Program Assessment Poll using the previous draft of the model. Thanks to those of you who participated in the poll. So far, all respondents have indicated that their companies are implementing some parts of the grassroots innovation model. However, everyone has room to improve since no company so far is firing on all cylinders. We were pleased to receive positive responses and several suggestions on how to refine the model. Thanks so much for your helpful feedback! Since March, we’ve also published a post on how a culture of experimentation gives companies innovation superpowers. That post describes how Google has maintained its search engine leadership by developing a highly evolved practice of experimentation supported by infrastructure and tools. Other companies like Amazon and Facebook have also developed a highly refined practice around experimentation. It’s clear to us then that Experimentation should be a fifth facet in our innovation model. A culture of experimentation synergistically supports the other facets because ideas from frontline employee can be tested alongside ideas from senior leaders. When a meritocracy of ideas is achieved, the company is more likely to benefit from giving employees time, freedom, tools, and funding to spend on their own ideas. 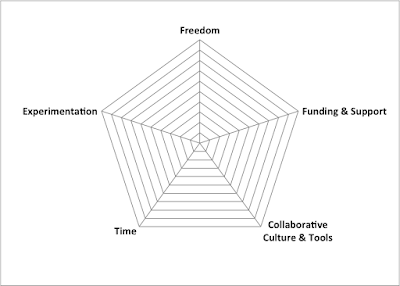 We’ve created a new Assessment Poll to include the Experimentation facet. We look forward to receiving more of your responses. Please continue to send us feedback on the model. Also, we’d love to hear about what’s working well for you and what challenges you’re experiencing running innovation programs at your company.